1) or Gall – (co. Cornwall, Dartmouth and Crediton, co. Devon, and Weveston, co. Suffolk). Az. a fesse ar. fretty of the field. Crest—A shankbone and palm branch in saltire ppr. 2) (co. Cornwall). Same Arms. Crest—A horse’s head erased bendy wavy of six or and sa. 3) (Whitehaven, co. Cumberland). Ar. on a fesse betw. three saltires az. an anchor betw. two lions’ heads erased or. Crest—A unicorn’s head az. charged with an anchor or, betw. two palets ar. 4) (Bardsea Hall, co. Lancaster; granted, 28 June, 1712, to John, Ebenezer, and Elisha Gale, all of Whitehaven). Ar. on a fesse betw. three saltires az’. an anchor betw. two lions’ heads erased or. Crest—A unicorn’s head az. charged with an anchor or, betw. two palets ar. 5) (Scruton, co. York; the heiress, Harriet, eldest dau. of Henry Gale, Esq., of Scruton Hall, m. Foster Lechmere Coore, Esq., of Firby, a lieut.-col. in the army). Az. on a fesse betw. three saltires ar. as many lions’ heads erased of the field, langued gu. Crest—Out of a ducal coronet ppr. a unicorn’s head paly of six az. and or, armed gold. 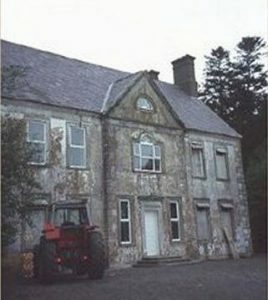 6) (Ashfleld Hall, Queen’s co). Same Arms and Crest. 7) (co. Devon). Az. on a fesse ar. three saltires of the field (another, gu.). 8) or Galle – (Stalbridge, co. Dorset). Sa. a fesse ar. fretty engr. of the first betw. three greyhounds sejant of the second, collared gu. Crest—A horse’s head, bendy wavy of six ar. and sa. 9) or Galle – Sa. a fesse or, fretty az. betw. three greyhounds sejant of the second, collared of the third. Crest—A greyhound’s head erased bendy wavy of six or and sa. 10) Gu. a griffin segreant or, a bordure gobony ar. and vert. Crest—A unicorn’s head paly of six az. and or, the homs twisted of the second and first. 11) Az. a fesse ar. betw. three saltires or. 12) or Gales – Gu. a fesse betw. two chev. or. 13) Ar. a bear sejant ramp. sa. muzzled gu. Crest—A ship ppr. her flags and pennant flying gu. Motto—Patientia vincit. 14) Quarterly, or and vair a cross gu. Crest—A lion sejant gu. holding a banner staff and spearhead ppr. This is a local surname meaning “at the gaol” given to someone who lived nearby. The name means a Gael or a Scot, a stranger. The root of Gall, or Gaul, is hal, meaning the sun, from which we have gal, gel, gl, meaning bright, brilliant, or glorious. Related words are haul (Welsh) and houl (Cornish British), meaning the sun. Another author notes the surname Gales means “the Welshman”, or someone who came from Wales. One author asserts the locales from where this name derives are in counties Devonshire, Lancashire, and Yorkshire (for Gayle). 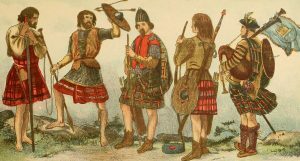 In his book, Ludus Patronymic, author John writes the following in regard to this surname: “Lower says Gale signifies a Scottish Highlander, but that the Gaels of Charlton-Kings co. Gloucester, have written themselves, at various periods, Galle, Gale, Gael, and originally De Gales. This may either refer to Calais or Wales, which latter, in Anglo-Norman times, was known as Galles or Gales. In local compounds the vocable hall is often corrupted to gale”. Another source, The Dictionary of American Family Names, gives a second origin theory when it states the surname derived from a nickname for a boisterous of cheerful person, originating in the Middle English world gaile, meaning jovial or rowdy and the Old English word gal, meaning light, merry, or pleasant. This same source also mentions a third possible origin theory: it comes from a Germanic personal name, Geil, introduced into England from France after the Norman Invasion. Another source gives a fourth possibility: it comes from the Old Norman-French word gaiole, meaning jail, and this originated as a occupational surname given to someone who worked as a jailer, or a topographic surname for someone who lives near a jail. A one Robert le Geil was recorded in Worcester in 1186 AD. Julia le Gale was recorded in the Subsidy Rolls of Cambridge in 1327 AD. The Poll Tax of Yorkshire from 1379 AD records several bearers of this last names: Johanna del Gaylle, Agnes del Gaylle, Johannes del Gayle, and Willelmus Gayle. Early marriages involving this surname include Martha Gale to Edward Fewtrill at St. Mary Aldermary in London in 1696 AD. Under the surname Gales, early notables include Ricarcus Galeys in the Poll Tax of Yorkshire. It also mentions to other early bearers: Thomas le Galeis (recorded in the Rotuli Litterarum Clausarum in Turri Londinesnsi) and Henry le Galeys (recorded in the Placita de Quo Warranto). Bernard Burke’s book “The Landed Gentry” discusses this family name: Gale of Bardsea Hall. It begins with a mention of Henry Richmond Hoghton, Esq. 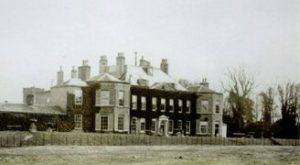 of Bardsea Hall in county Lancaster, J.P. who was born in 1830 and married Emma, daughter of Thomas Sneyd, and left issue with her: Henry Richmond (1866), Edmund William (1868), Arthur Stephen (1875), and Eleanor Mabel (1874). He served with the arms in the Crimean war, served in the 90th regiment, and retired as a captain. Burke traces the lineage back to William Gale, Esq. of Whitehaven, of a younger branch of the ancient family long settled at Acomb. He married Margaret, a co-heir of Henry Richmond, and had issue with her: Isabella and John. 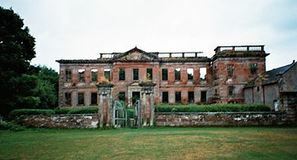 John was an Esquire of Highhead Castle and married Sarah, the daughter and heiress of Christopher Wilson, and had two sons with her had two sons who died in their infancy. 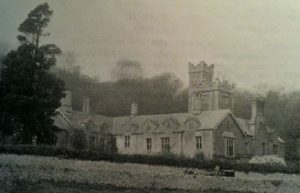 Wilson, of Conishead Priory and Highhead Castle, who upon the death of his cousin Thomas Braddyll, succeeded the estates and assumed the surname Braddyll by sign manual, married Jane Gale, and died in 1819 leaving issue: Thomas Gale Braddyll, Henry Richmond, Margaret, and Sarah. The second son, Lieutenant General Henry Richmond Gale, Colonel of the Lancashire Militia, married Sarah Baldinwin and left a son with her named William Gale. William was High Sheriff in 1847 and he married Cecilia Isabella Losh and had children with her: Robert Townley Parker (1828), Henry Richmond Hoghton (discussed above), Baldin (1832), James (1834), Cecilia, Charlotte Christophera, Sarah, Margaret Elizabeth,and Frances. He entered the 10th Hussars and served at the occupation of Paris in 1815 and passed away in 1865. The arms of this family, granted on June 28th, 1712 to John Ebenezer and Elisha Gale of Whitehaven was: Argent, on a fess between three saltiers azure an anchor between two lions’ head erases or. Crest: A unicorn’s head azure charged with an anchor or, between two palets argent. One source claims that the family first held seat in Cornwall prior to the Norman Conquest. The book “Genealogical Guide to the Early Settlers” mentions four people with this surname: 1) Richard Gale, of Watertown in 1640, who had issue Sarah (born 1641 and later married Joseph Garfield), Abraham, Mary (who married John Flagg in 1670), John, and perhaps Abigail and Emphraim, 2) Ambrose of Gale, of Salem, MA who had issue Benjamin (1663), Elizabeth (1663), Charity (1664), and Ambrose (1665), and was one of the founders of the church at Marblehead, 3) Bartholomew Gale, of Salem, who in 1662 married Martha (daughter of Robert Lemon) and later married Mary Bacon and left issue with her: Abraham (1666), Isaac, Jacob, Bartholomew, and Daniel, and 4) Edmund Gale, of Salisbury, recorded as a freeman in 1666 and went to Marblehead and later Falmouth. Other early settlers include John Gale (Virginia 1623), Richard Gale (Barbados 1635 aboard the Ann Elizabeth), and Hugh Gale in New England (1652). Captain Robert Gayle (1745-1783) was a soldier in the American Revolution who was from Kingston Parish, Virginia. The family mottoes include: 1) Esperez en Diue, meaning “Hope in God” and 2) Patientia vincit, meaning “He conquers”. 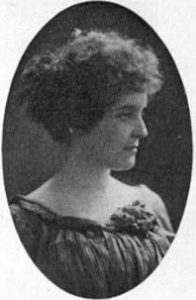 Famous people with this last name include: 1) Zona Gale (1874-1938) an American novelist who won the Pulitzer Price, 2) Thomas Gale (1635-1701) and English classical scholar and cleric, and 3) Henry Gale (1883-1944) who was a British Army officer.